Join Thomas and Postie Pete for the Mail Train Experience. Thomas is excited that the Wansford Controller is letting him pull the mail train for one weekend at the Nene Valley Railway on 27th and 28th April and wants you to join him. Come along and meet Postie Pete and his Cat, Ginger, who work on the mail train. 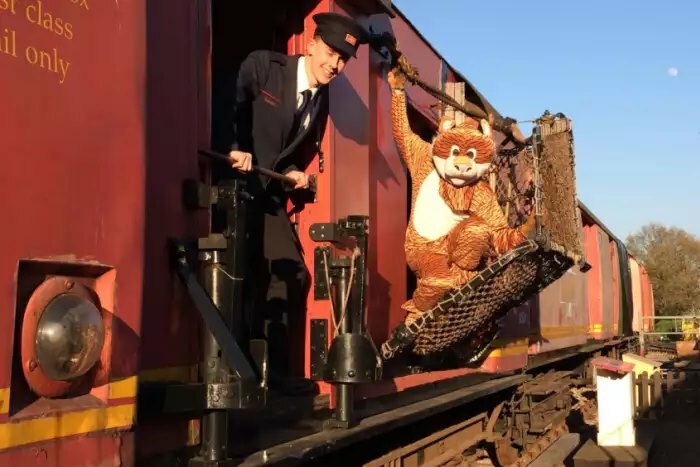 The experience starts with a brief ride in the mail train before getting off so Thomas, Pete and Ginger can show you how they exchange heavy bags of mail from a moving train using the big nets on the train and on the ground! Thomas and his train perform a number of exciting run pasts to make sure all the mail is picked up and everyone’s had a chance to see! Space on the train and in the viewing gallery is limited, so advanced booking is essential. Mail trains leave from Wansford 11.30, 13.15 and 15.00. You can also have a go at sorting letters on the Mail Train. Time yourself for a minute and see if you’d get the job! One of Thomas’ bigger friends will also be pulling the main line train down to Peterborough. Make a day of your time with us. Get a combined ticket day ticket for massive savings. 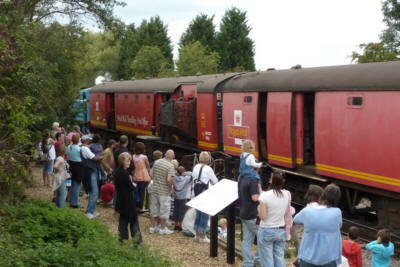 Continue the Mail by Rail theme by getting off at Overton (For Ferry Meadows) for the ‘Night Mail Experience’. The Night Mail Experience also includes a diorama of The Great Train Robbery and a range of Royal Mail Vans and vehicles. our Traditional Sweetshop and toys for sale. You can also see the progress our youth group is making on restoring more mail carriages. The train has a fully licenced bar and your ticket allows you to hop on and off the train throughout the day. Our café will be open at Wansford, and refreshments are also available at Overton in our Great Northern Tea Room.